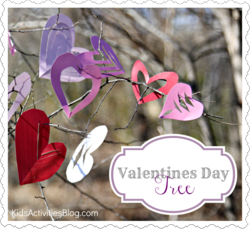 Cute Valentines Day tree activity and other easy to do Valentines Day craft ideas are published on Kids Activities Blog perfect for a fun family day or any other kids events during the month of February. Decorate a tree outside to share the love with neighbors. The thought of a Valentines Day tree may strike fear in those who are still finding pine needles around the house. No fear. The Valentines Day tree is created out of paper crafts and can be set up indoors or outdoors. Kids Activities Blog loves Valentines Day craft ideas that are simple yet super fun to do. Materials needed are fallen branches (or a tree to decorate outside), office paper scraps, colored construction paper, scissors, and a vase for the indoor version. 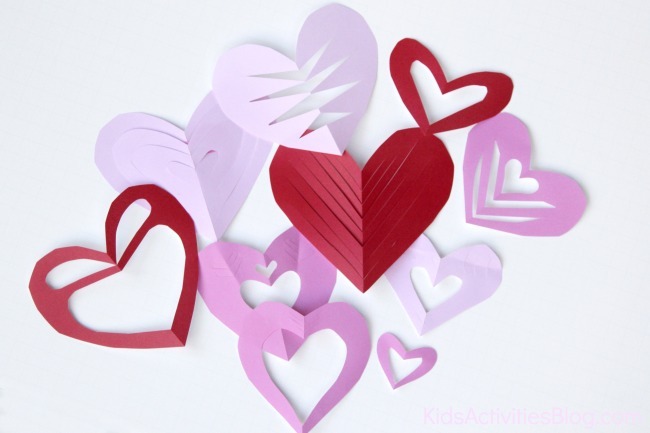 Help the kids fold the paper scraps in half and cut out a half heart together with some decorating cuts. Then let the kids decorate the branches. For a complete set of instructions, check out Kids Activities Blog. 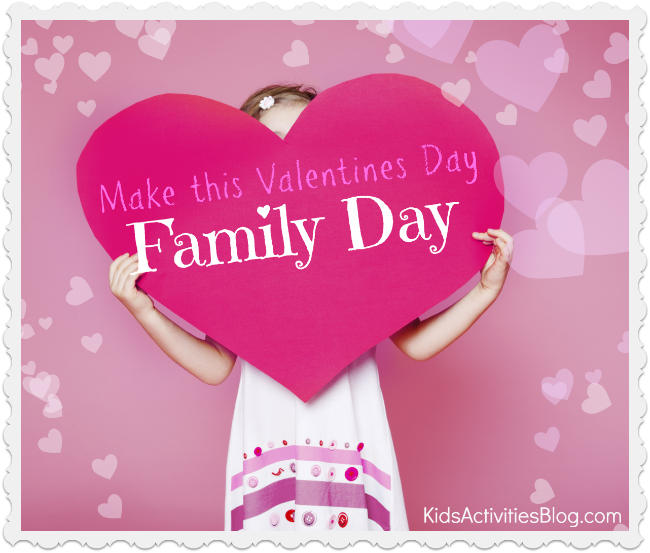 Other fun ideas to turn Valentines Day into a special family day are going on a family date night, cuddling up on the couch together, and teaching the kids the importance of being thankful, thoughtful and being close to each other. Another idea is simply spending some quality time together by telling love stories. For additional easy to do ideas that turn Valentines Day this year into a special one, browse the many activities currently listed on Kids Activities Blog.